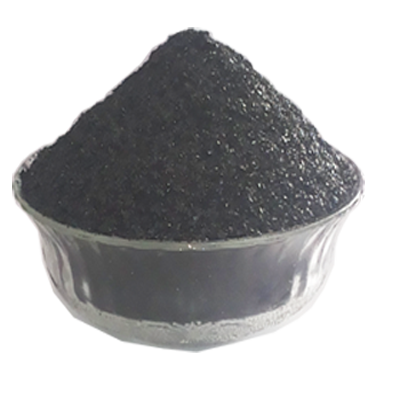 India’s top Importer, exporters & Supplier a wide range of products like Potassium "F" Humate, Potassium Humate Shiny Flakes 98%, Humate Shiny crystal, Potassium Humate Powder 95%, Super Potassium "F" Humate Shiny Flakes, etc. 1. Potassium humate is an efficient organic potassium fertilizer. Because humic acid is one kind of biologically active agent, it can increase the content of quick-acting potassium in soil, and reduce the loss and fasten of potassium, increase the absorption and utilization of potassium. Also, it can improve soil structure, promote the growth of crops, increase crop resilience, improve crop quality, protection of agricultural ecological environment and other functions. When it is mixed together with urea, phosphorous, potassium fertilizer 80%, trace elements, we can get efficient multi-functional compound fertilizer. 2. Potassium Humate & Humic Acid plant growth management products that stimulate the plant to produce its own beneficial hormones naturally. By enhancing nutrient uptake and hormone production through your plants roots or leaves, Potassium Humate products help increase flowering, budding, fruit set, fruit size and maturity. This helps you deliver improved crop quality and yields, resulting in more uniform maturity and consistent size. 4. The product can used As foliar fertilizer, special purpose fertilizer and drought resisting fertilizer. Super potassium Humates is a carbon content use in agriculture for soil health, soil fertility and plant nutrition. Plants grown in soil rich with humic substances produce higher yields, provide better nutrition, and are less subject to stress, compared with plants grown in soils lacking these nutrients. potassium humate also known by the name of Potassium Humate Flakes, Potassium Humate 100%, Potassium Humate 98%, Potassium Humate 95%, Super Potassium Humate Shiny Flakes, Super Potassium Humate, Super Potassium Humate Flakes, Super Potassium Humate Fulvic Shiny Flakes, Super Potassium F Humate Shiny Flakes and Super Potassium Humate Humic Acid. Agro biochemicals are the leading and notable manufacturer and wholesale supplier in all India level with 100% accuracy and quality. Soil conditioner. Improve soil structure . Increase caution exchange capacity of soil. Stimulates biological activity in soil. Enhance nutrients uptake and increases the content of humus in soil. Improves the physical and chemical qualities of soils. Plant growth stimulant, promote root development and stimulates seed germination. Enhance nutrient uptake by combining nutrients and humic acids and keep a well-balanced nutrition. Fertilizer efficiency promoter. Greatly improve the utilization rate of nitrogen fertilizer. Keeps 60% of nitrogen readily available and 40% as slow-release. Enhance the resilience of crops. such as cold, drought, pest, disease and toppling resistance. Promotes healthier, stronger plants and enhance appearance. Order for obtaining excellent quality potassium fertilizer in bulk and at nominal rates! We are the trusted Importer, Exporter & Supplier organic potassium fertilizer. Use with other fertilizer, it's an ideal Amino support agent. also used as chelator with metal in the soil, improve soil condition. Well used for any irrigation system or foliar application.